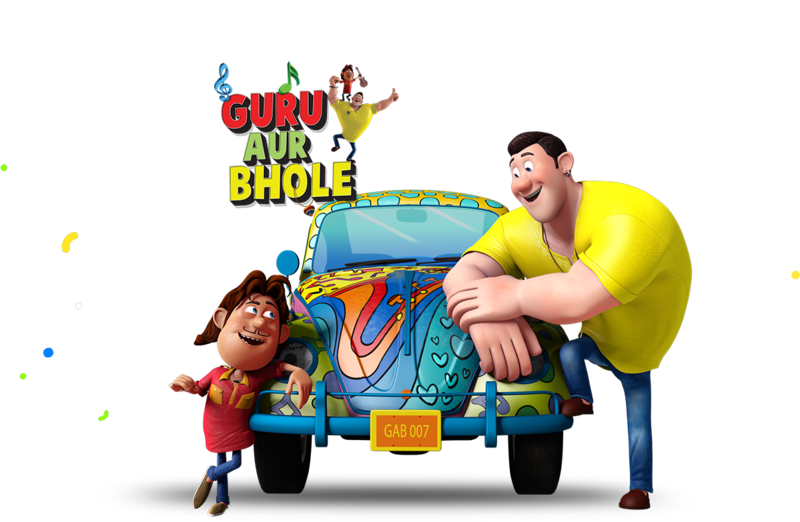 Set in a quaint, pristine and caricature-ish little town in Northern India, Sur-Taal Nagar, ‘Guru Aur Bhole’ tells the tale of a classic friendship between its lead characters, Guru and Bhole. 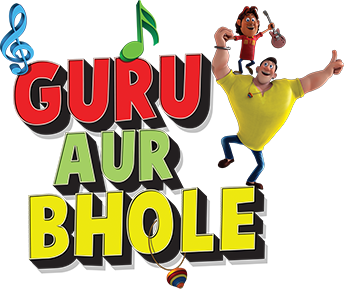 For the first time ever, kids will get to witness one great friendship connected over music and dance, jahaan gaaye Guru aur naache Bhole! 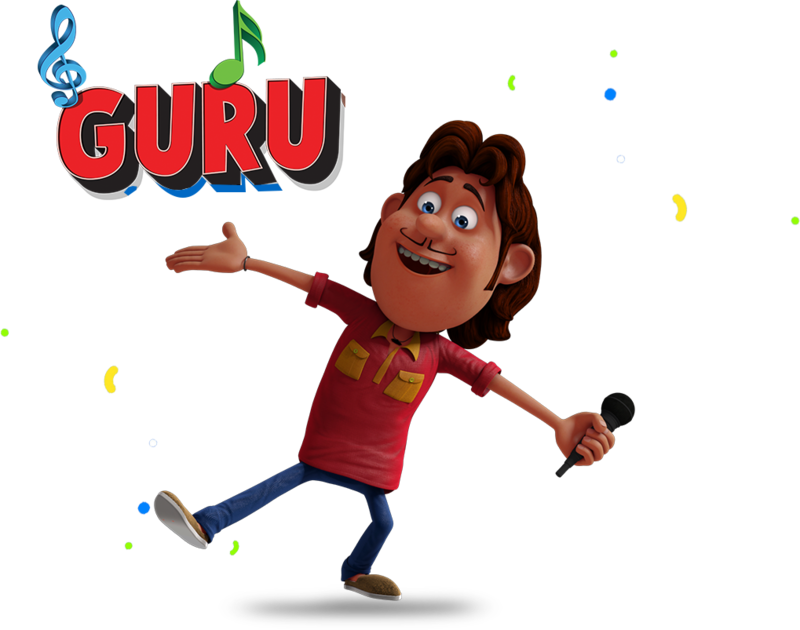 'Chhota packet, bada dhamaaka', Guru is the musical mastermind whose passion for music makes him enjoy life to the fullest. In fact, if he was given a choice, he would do nothing but have fun with his music. 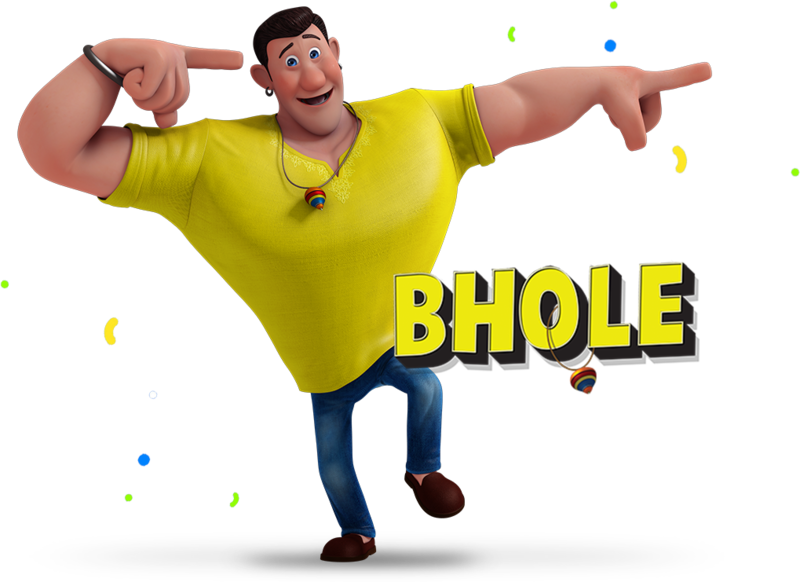 Bhole, the 'Bade dilwaala' is the ‘oh so popular’ face of Sur-Taal Nagar. He loves to offer help and never denies it, even if he might get stuck with it. 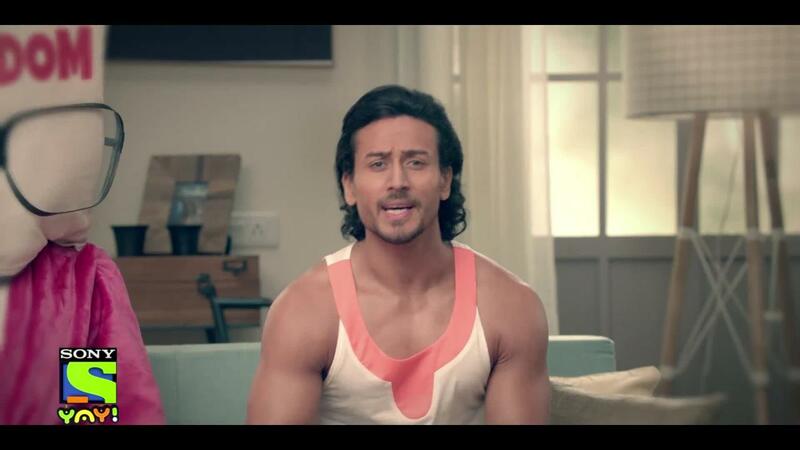 His superpower is his dancing, which he receives from Guru’s musical power. 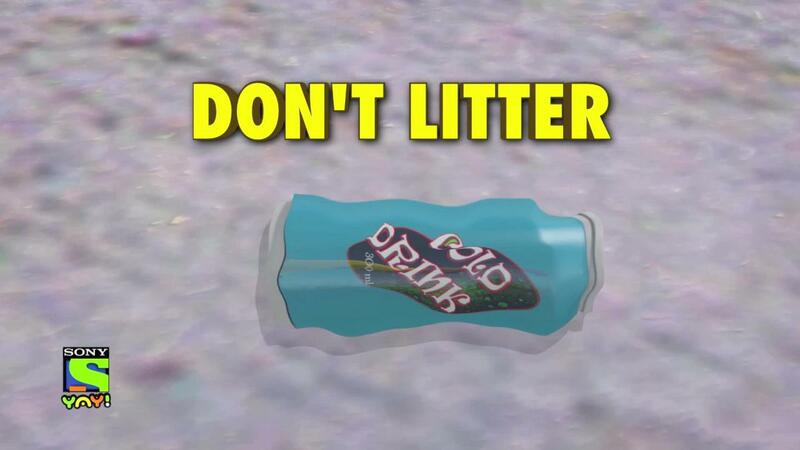 This superpower helps Bhole to get out of any 'ruckus created by others'.